“What? !” You may scream! How can I like Formula One? It is fast, it is cars, it is bad for the environment, etc, etc. I know, I know, but remember Slow isn’t about doing everything at a snails pace, it is about doing things at the right speed. In fact, I often describe the mindset of Slow as being unflustered and unhurried. And often, as I am sure you can agree with in your own experience, being unflustered and unhurried will get you where you want to be fast than rushing, stressing and getting all wound up. 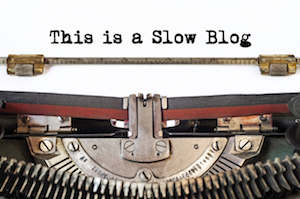 “More haste, less speed” is a very apt old saying that describes the slow mindset. The faster you try to do something, the more likely you are to make mistakes that make you take longer than it would had you planned it. So, what has all this got to do with Formula One? Well, ironically, Formula One drivers, especially the current the leader in the Drivers Championship, Jenson Button can demonstrate the slow mindset perfectly. Experts and pundits describe Buttons attitude and laid back, relaxed and easy going and his driving style as unrushed, calm and smooth. The sort of words I would use to describe the ideal Idler! So, well done Jenson, you are a perfect example of how a Slow Mindset can make you faster. And best of luck on Sunday at the British Grand Prix! PS, this post was written before the news about a spit in F1, but this isn’t a Formula One blog, so I am not going to discuss it.